Mandara is a group of independent commodity derivatives trading firms specialised in trading refined products, ethanol and crude oil derivatives. Established in 2009, Mandara has firms in London, New York and Singapore. We trade across Asian, European and US OTC derivatives markets with a specific focus on oil and energy hedging out of the London office. We are one of the largest volume players in cleared oil derivatives. 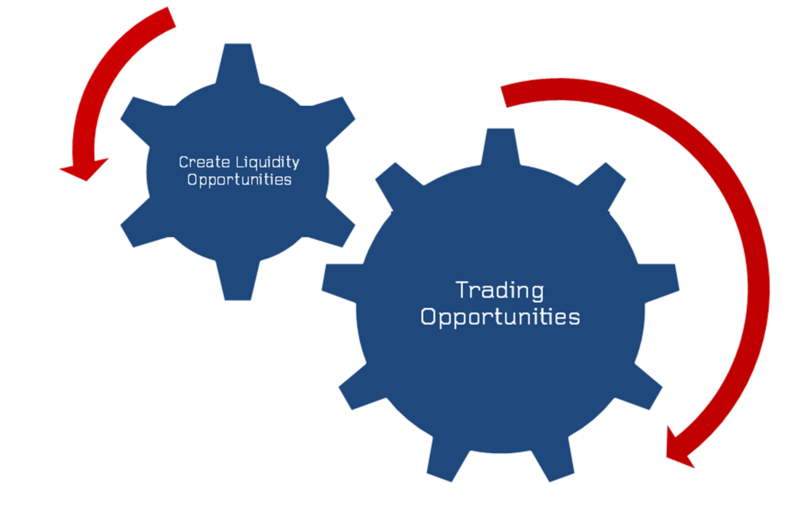 Our depth and breadth of trading capability creates exciting liquidity opportunities for counterparties. All counterparty trades are cleared, in line with Dodd Frank and EMIR. Mandara provides direct trading opportunities on a broad range of energy derivatives, offering the convenience of trading opportunities across the barrel in one place. Not only do we offer strong market awareness across our crude and refined product desks, but we also look into other contracts than our core trading indices at counterparties’ requests. The full list of contracts we trade is now over 100 and expanding all the time. Mandara is highly responsive in price quotations, with no inbuilt credit costs, brokerage fees or middle-man margin. We rigorously uphold standards of excellence and are unparalleled in speed, responsiveness and availability. All counterparty trades are kept private and confidential, unless through necessary block reporting, and all trades are cleared through ICE Clear, CME ClearPort, SGX or OMX Nasdaq, reducing the risk to the counterparty. The setup process for a new trading counterparty is extremely quick and straightforward; there are no credit lines required. Once a deal is done, trades are posted for clearing immediately as Block or EFS. Setting up to trade, and trading with Mandara is fast and simple. Mandara Energy Ltd is not registered as a broker-dealer under the U.S. Securities Exchange Act of 1934, as amended (the “1934 Act”) and under applicable state laws in the United States. In addition, Mandara Energy Ltd is not registered as an investment adviser under the U.S. Investment Advisers Act of 1940, as amended (the “Advisers Act”) and together with the 1934 Act, (“the Acts”), and under applicable state laws in the United States. Accordingly, in the absence of specific exemption under the Acts, this presentation and its respective contents do not constitute an offer or invitation to sell, purchase or subscribe for, any securities or any other product or service from Mandara Energy Ltd, or their respective affiliates, to U.S. Persons. Any services described herein are not intended for U.S. Persons. “U.S. Persons” are generally defined as a natural person, residing in the United States for six months or more per year or any entity organized or incorporate under the laws of the United States. U.S. citizen living abroad may also be deemed “U.S. Persons” under certain rules. For the specific meaning of “U.S. Persons” we refer to relevant U.S. laws and regulations. Neither any content of this presentation may be sent to or taken into the United States or distributed in the Unites States or to a U.S. Person. The information and opinions contained in this document are for background purposes only and do not purport to be full or complete. No reliance may be placed for any purpose on the information or opinions contained in this document or their accuracy or completeness. No representation, warranty or undertaking, express or implied, is given as to the accuracy or completeness of the information or opinions contained in this document by Mandara Energy Ltd or its members or employees and no liability is accepted by such persons for the accuracy or completeness of any such information or opinions. The contents including details of any research, investment strategies and any bespoke financial products are confidential to the person to whom it is delivered and should not be copied, distributed, or disclosed, in whole or in part, to any other person without our prior consent. This document is issued for information purposes only to describe the role of Mandara Energy Ltd in energy markets. It is not an offer or solicitation to buy or sell or otherwise transact in securities. Mandara Energy Ltd is investment manager of a Jersey-domiciled investment vehicle. It is not authorised as a broker but acts as agent for its underlying client. That client is its only client, and it is the only party that Mandara Energy Ltd provides services to and owes duties to. Mandara Energy Ltd does not provide the same protections to counterparties that it provides to that client. In the United Kingdom this document is issued and approved by Mandara Energy Ltd. Its address is 6 Broad Street Place, London, EC2M 7JH. This presentation is intended for distribution only to persons who met the FCA definition of “Professional Client”. The views expressed are those of the Mandara Energy Ltd at the time of publication and are subject to change. All data as at May 2018, unless otherwise stated. Source of data: Mandara Energy Ltd.